Katie Barrett, Valley View and Indian Rock, has received a grant for Exploring Art Through Technology. This $1,000 will be used to purchase a ProTech Document Camera, designed to enhance the way students observe and appreciate the elements and principals of art through magnification and projection. Jill Feltenberger & Marcella Oathout, YS High School, received a $2,500 grant to enhance their existing SASSY (Students Achieving Success by Saying Yes) Advisory for Underserved Students program.Â This grant will provide funding to assist selected students to successfully graduate and solidifying plans for post-secondary life. Chris Forney & Amy Schnetzka, Yorkshire Elementary, and Cheryl Johnson, Valley View, were awarded a combined grant of $10,000 to Ditch the Desk and Think on Your Feet.Â This grant will provide studentsÃ¢ÂÂ opportunities to use standing desks, ergonomic seats and under the desk bike pedals with the goal of boosting brain function and focus. This program will serve as a pilot to help selected students through positive interventional methods. Denise Fuhrman & Brian Ellis,YS High School, received a grant for a Dual Enrollment Program.Â The $7,069 will provide support for the high school’ÂÂs dual enrollment program enabling selected students, who may not have the ability to pay for the college course tuition, to experience college courses while still attending high school. Ashley Markey, Indian Rock and Valley View, received a grant for $4,040 to institute World Drumming into the music curriculum.Â This grant will purchase a Remo World Drumming packet which will introduce students to various drums that will help with their social, communication, academic, emotional, cognitive and fine and gross motor skills innovative methodologies. Christine Stipanovic, Yorkshire Elementary and Middle School, received a $300 grant to start a Glitter Bug Handwashing Program.Â This grant will enable the school nurse to purchase the hand-washing machine to increase the importance of hand-washing awareness education through a fun and easy to implement methodology. Greg Gulley, Mary Bath Grove, Tawn Ketterman and Kim Stoltz, Principals at Indian Rock, East York, Valley View and Yorkshire respectively, were awarded a $12,850 grant due to YSEF’ÂÂs qualification and participation to access funds through the PA State EITC (Educational Improvement Tax Credit) program. 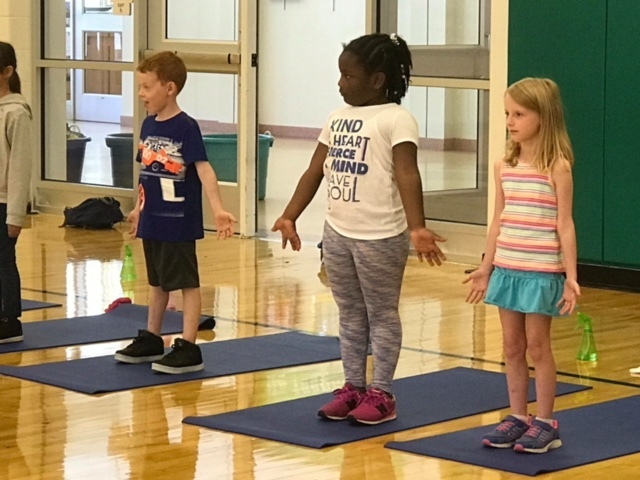 Fizz, Boom, Read – Summer Reading Program will fund a new summer enrichment program for selected elementary school students in an effort to boost their school readiness. Wendy Hauck, Valley View and Yorkshire, received a $1,348 grant for 100 Grid Carpet. This grant will allow for the purchase ÂÂ100 GridÂÂ carpets, interactive, daily math tools to help students practice counting, number sense, addition and subtraction up to 100 through a fun and creative methodology.Â This grant was made possible from endowment proceeds through the Jeffrey D. Sindicich Foundation, a named donor endowment fund held by YSEF at the York County Community Foundation.Â The fund is in memory of Jeffrey Sindicich, York Suburban graduate class of 1986.